The Cellink Battery NEO is the newest addition to the globally renowned Cellink battery lineup, being the refined and improved successor to the Cellink B Battery Pack. 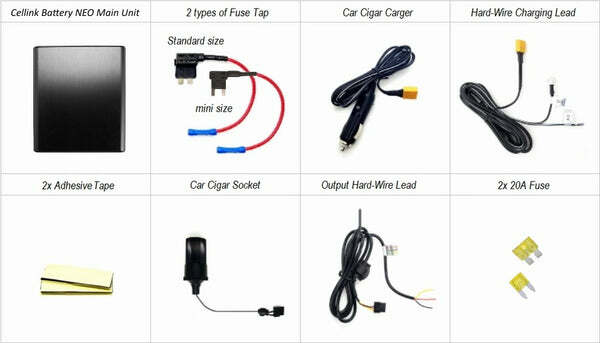 If you are serious about protecting your car while it's parked and your dash cam supports Parking Mode by Motion Detection, this product will be the most comprehensive solution for powering your dash cam while parked. Even though a typical car battery has much higher capacity than Battery Packs, it is not designed for routine deep discharge cycles while car is parked hence its performance may deteriorate and life is shortened prematurely over time. The Cellink Battery NEO works by charging a high quality lithium iron phosphate (LiFePO4) battery while your car is running, and when it's turned off, the charged battery is then used to provide continuous power to your dash cam without the need to draw any power from your car battery. This process is very effective in reducing the risk of battery discharge, low voltage electrical warnings and flat car batteries. Now enclosed in a metal casing with a brushed aluminum finish, the NEO has the look and feel of a premium product. Conveniently, its compact size makes it easier to pack and hide away into tighter spots. In addition to this, it places all the connectors and switches on the bottom of the unit making routing cables much easier and allows for a much cleaner install. The NEO features Bluetooth technology, when paired with the app that’s available on iOS App Stores as well as the Google Play Store it’s super easy to see the read outs. 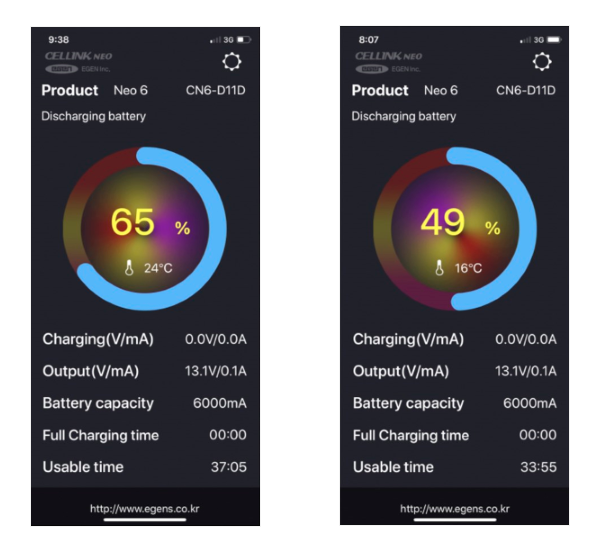 The App itself gives out plenty of useful information, such as: overall battery percentage, whether the unit is charging or discharging, how long it can power the camera for as well as how long it’ll take to fully charge and more. 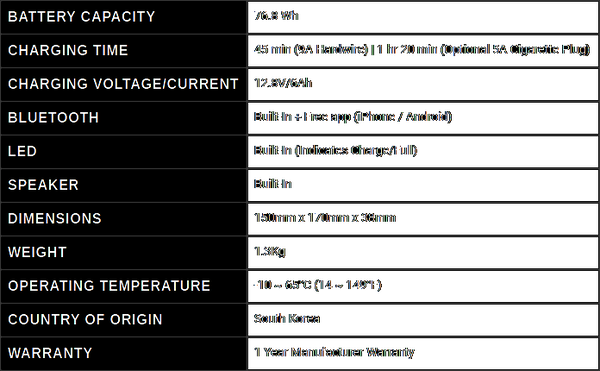 High quality LiFePO4 lithium-iron phosphate battery means the system can reach temperatures of up to 70°C before the internal sensor automatically shuts the system off safely (High temperature Cuts-Off). Stylish and robust aluminium casing. 12V Hardwire Kit - Allows the Cellink NEO to charge at a higher rate of 9 Amps so it’s able to charge the battery in 45 minutes to full (please arrange a car electrician or our Auckland-wide Dash Cam Installation Service to hardwire it for you). Comes with a set of Add-A-Circuit fuse taps for a seamless installation.